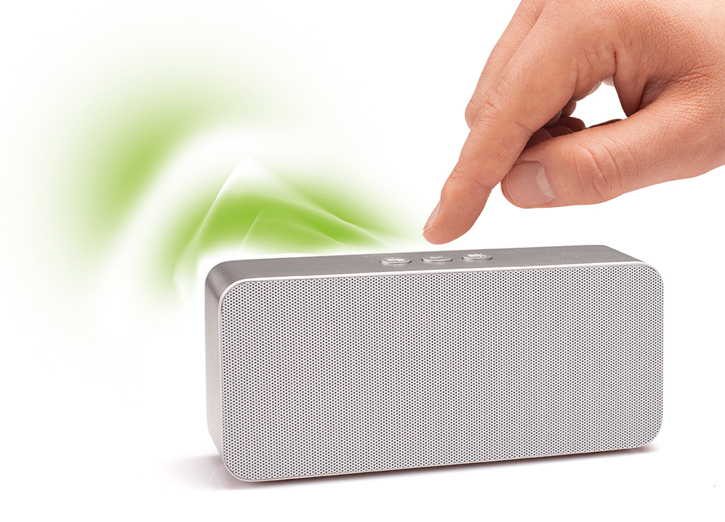 Mobee Technology is in the news today for their latest additions to the Mobee collection of wireless inductive products that aim to set the standard for green and innovative gadgetry at CES 2013. Announcing three new products, the Magic Juice, Magic Tunes, and Magic Link giving a new definition to green power solutions. The aluminum constructed Magic Juice keeps your iDevices alive after a long day of work, acting as a backup battery that is portable and easy-to-store. Just plug your iPad in for a full charge or your iPhone in for two. This is perfect for the traveler who can't always find an electrical outlet when on-the-move constantly. In addition to charging your iDevice, the Magic Juice can wirelessly charge itself with any of Mobee's flat inductive charging stations. It'll go on sale for $79. The Magic Tunes is an aluminum-made wireless Bluetooth capable compact speaker that is designed to be used in tandem with your mobile device. This small speaker is also equipped with an integrated microphone which makes it ideal for conference calls. Just like the Magic Juice, the Magic Tunes can be wirelessly charged when put on one of Mobee's inductive charging platforms. The Magic Tunes will retail for $99. Lastly, the Magic Link is an unique charging cable that automatically turns itself off and stops sucking more power and hiking up your electricity bill. The cable itself illuminates a green color when it is on. While the cable is blinking, you know your device is charging. When the cable isn't showing any color, you know it's off. The Magic Link is compatible with the Lightning port, the 30 pin port, and mini and micro USB ports. The Magic Link will be available for $49.